Why did it take me so long to get around to this? 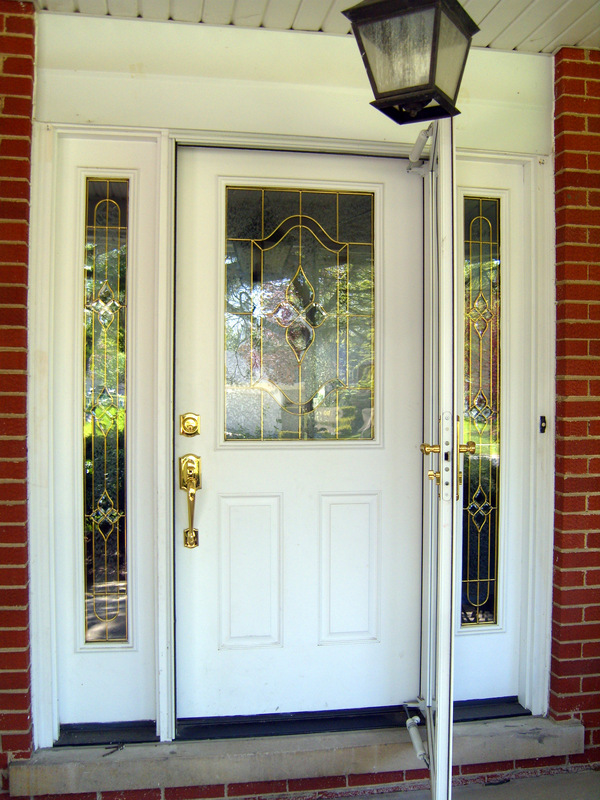 I’ve been meaning to paint the front door for ages, and yesterday I was finally moved to just get it done. Well, I did the exterior. 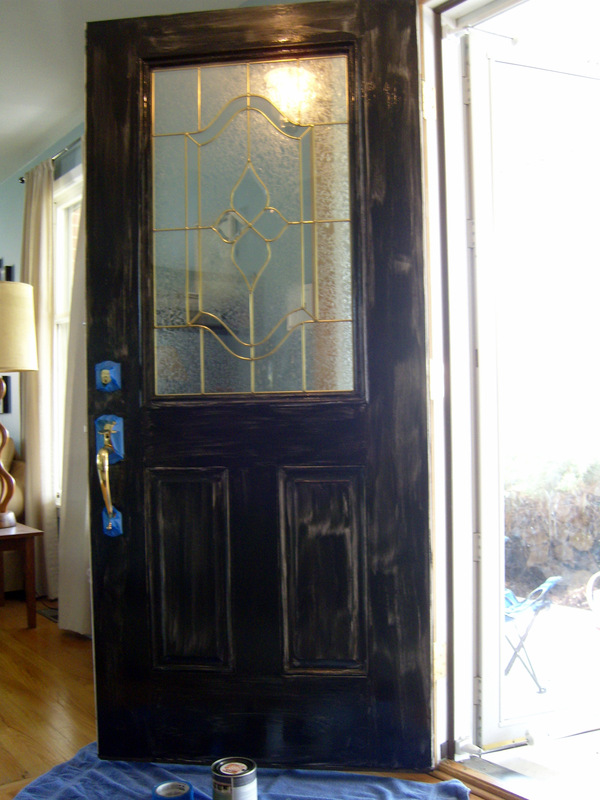 I was waffling on whether to paint the inside of the door as well, but after a quick browse through some inspiration photos on Pinterest (just search for “black door”), I was reassured. Today’s project: paint the interior side. I dropped Little Four off at preschool and went straight to Home Depot and bought a quart of Behr Premium Plus Ultra exterior semi-gloss enamel in Black. I looked at some paint chips, some more greeny-black, some more gray-black, but when it came down to it, I just asked for plain old black. I’m very happy with it. 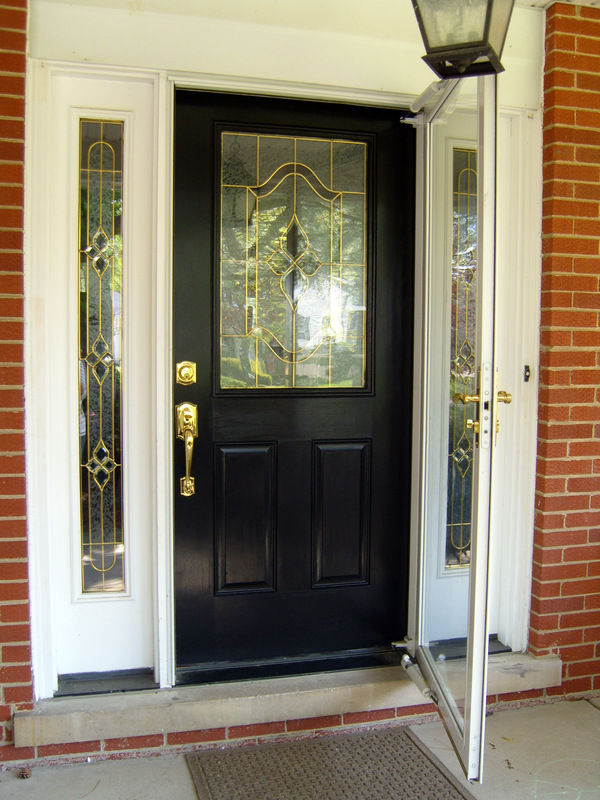 Somehow the glossy black makes the entrance more impressive, and I like how the brass hardware pops out. As I expected, it took three coats of paint–maybe an hour, total? All I needed was a 2-inch angled brush and some painter’s tape (to tape off the hardware). I’ve got about two hours before I need to leave the house again…time to put my painting clothes back on and get the first coat on the other side! Check out the Bakers Select blog, where I have more recipes and baking tips to share!